I'm posting this recipe today for my own selfish reasons. 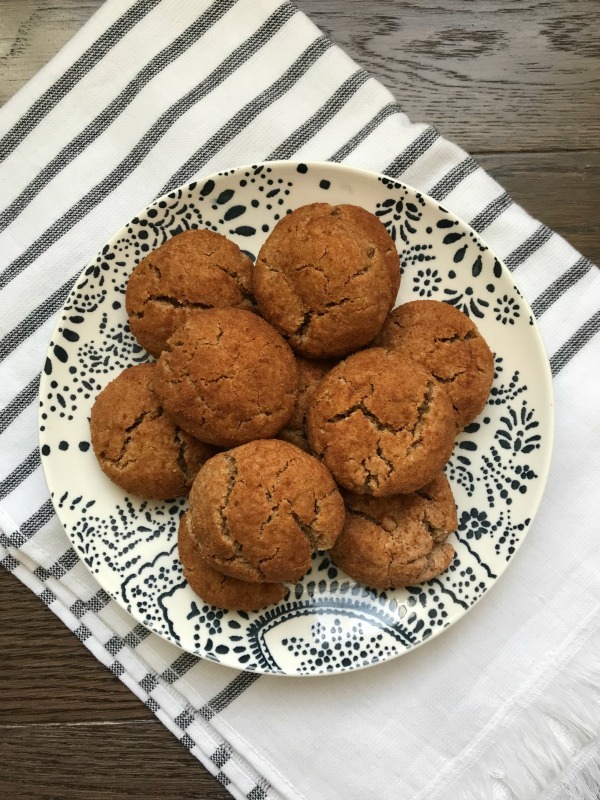 Mainly because I love these cookies and I don't want to lose the recipe! 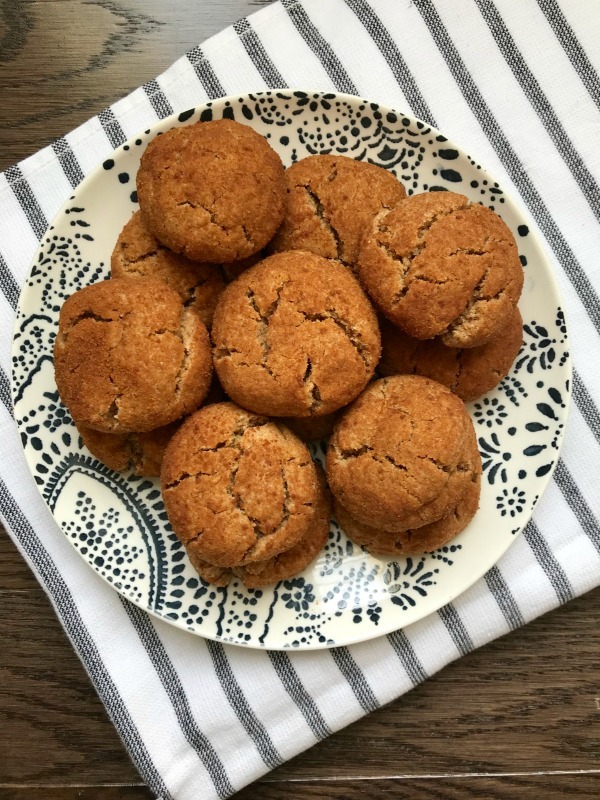 Coconut sugar snickerdoodle cookies are grain-free, dairy-free, Paleo and delicious! one in my lunch bag for work. They are the perfect ending to a healthy lunch! Preheat oven to 350 degrees. Line a baking sheet with a Silpat or parchment paper. In a large mixing bowl whisk dry ingredients together. In a small bowl beat egg, coconut oil and vanilla. Using a cookie scoop, form dough into balls. Roll in sugar/cinnamon mixture. Bake for about 9 minutes or until cookies are set. Cool on baking sheet for 5 minutes before removing to a wire rack to continue to cool. Your blog is very useful to me. Thank you for sharing with us.